The LBJ Presidential Library and museum is important insomuch that it exists; only a few college campuses in America can claim that a presidential library rests within its confines. But aside from its permanent exhibits, which include LBJ’s black stretch Lincoln Continental limo, and a 7/8-scale replica of the Oval Office, an integral purpose of the museum is highlighting the civil rights struggles and triumphs that bubbled up during his youth and frothed over during his presidency, the streams of which still flow freely today. The newest such example, “Get in the Game: The Fight for Equality in American Sports,” opened on April 21. Based partially on the idea to do an exhibition on sports and social justice suggested by former LBJ Library Director Mark Updegrove and continued by current library staff, it showcases the triumphs over adversity in athletics in the last century and a half, and celebrates the men and women who fought (and still fight) to break down barriers to equality. 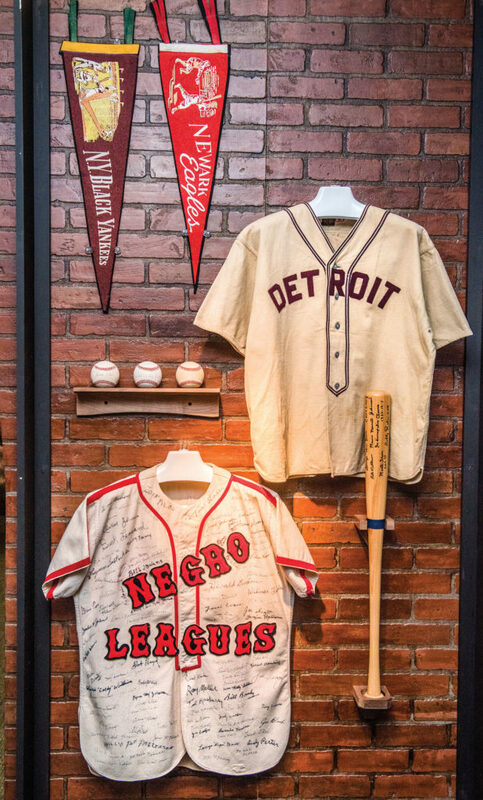 The completely original exhibit begins and ends with controversial African-American athletes currently in the news. The first is heavyweight boxer Jack Johnson, who received a posthumous pardon from President Trump on May 24 of this year. During his lifetime, the Galveston Giant was so dominant in the ring and brash outside of it that he inspired the notion of “The Great White Hope,” scores of men who trained to win the title back for the white race. In 1913, Johnson was convicted of violating the Mann Act, or “transporting a woman across state lines for immoral purposes.” That woman happened to be white (and later Johnson’s second wife). “He was convicted by an all-white jury,” says exhibit curator and LBJ museum registrar Nikki Diller. “And the judge at his trial was Kenesaw Mountain Landis.” Landis—and those he affected—figures prominently in baseball lore. Apart from overseeing the Black Sox scandal of 1919, he was responsible for keeping baseball’s color line intact until his death in 1944. Just two years later, Dodgers executive Branch Rickey integrated baseball by signing Jackie Robinson to a minor league deal. Robinson is all over the exhibit, from memorabilia (his pants, a signed 1953 Dodgers baseball, his retired-number plaque from Dodger Stadium) to artifacts that show his determination in fighting discrimination outside sports. One display is comprised of a collection of letters Robinson sent to different presidents and their administrations from 1957 to 1969. “Not only did he break the color line of baseball, but he was also a civil rights advocate. He participated in marches,” Diller says. A few other powerful men, just like Landis does, hang like a stench over the exhibit, each making their marks on multiple generations of athletes. 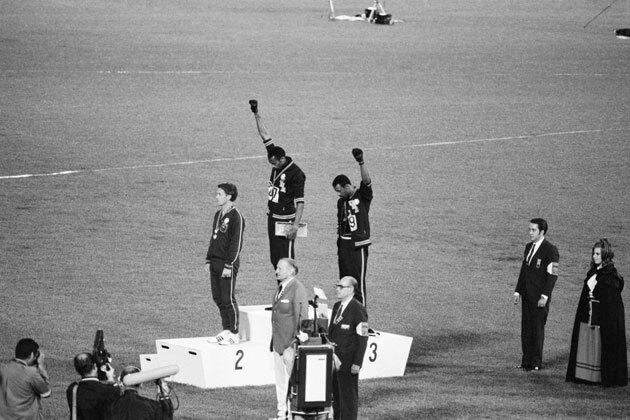 One name that pops up multiple times is U.S. Olympic Committee President Avery Brundage, who managed to alienate Jewish athletes participating in the 1936 Olympics, suspend Jesse Owens after winning his gold medals, and, years later, force Tommie Smith and John Carlos out of the Olympic Village when they protested in 1968. “He continued to just be sort of a villain all the way through,” Diller says. The focus isn’t primarily on Landis or Brundage, but on those who clawed and scraped to make athletics—and America—a better place through sheer will. There’s Kareem Abdul-Jabbar’s signed Lakers jersey, a pair of boxing gloves Muhammad Ali inscribed to Sen. Ted Kennedy, Althea Gibson’s 1958 Wimbledon trophy, a wall of Air Jordans, and the mask and jacket of Ibtihaj Muhammad, who became the first female Muslim-American athlete to win an Olympic medal in 2016. 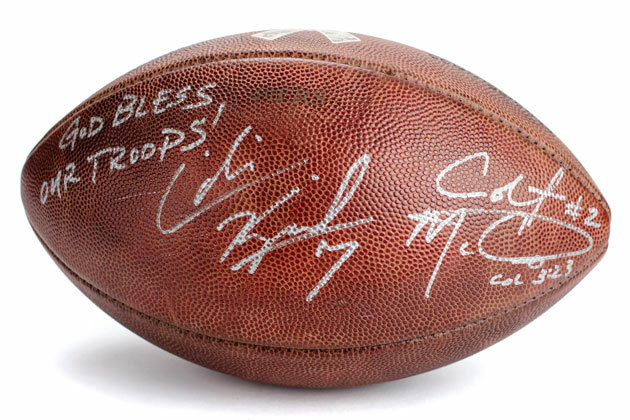 For sports fanatics, it’s a memorabilia explosion. For everyone, it’s a chronological path through the intersection of sports and social justice that is in the zeitgeist today as much as it was during the eras of Jim Thorpe or Billie Jean King. Diller acknowledges that the exhibit is unique in that the fight for equality isn’t over. Near the end of the exhibit is a display depicting the struggles of gay, lesbian, and transgender athletes, including the cleats worn by Michael Sam, the University of Missouri defensive end who came out as gay before the 2014 NFL Draft. The SEC Defensive Player of the Year never made an NFL roster, and was taken in the tail end of the draft. An openly gay player has still never played in an NFL game. Just beyond that, a video from the 2016 ESPY Awards plays. NBA superstars LeBron James, Chris Paul, Carmelo Anthony, and Dwyane Wade speak out about the ongoing struggles facing African Americans in the United States. Paul lists the young men recently killed on the streets, many by police: Tamir Rice, Alton Sterling, Philando Castile. The list goes on and on, Paul’s pained face emanating through the screen. Then he begins a new list: Jesse Owens, Jackie Robinson, Muhammad Ali, John Carlos, and Tommie Smith. Kareem Abdul-Jabbar, Jim Brown, Billie Jean King, Arthur Ashe. These athletes are all represented in the LBJ exhibit as the people who toiled to extend social justice beyond sport, to ensure that the generations that followed would have a better life than they did. “So we choose to follow in their footsteps,” Paul concludes. An earlier version of this article incorrectly stated the year of the Black Sox scandal. It was in 1919, not 1918.